Hannah has worked as a midwife for years and has attended some 1,400 births as of May 2011. She said that she has never lost a baby and even told of a couple breech babies she has delivered and some v-bac babies she has delivered, along with a couple emergency situations. She has delivered babies for the ambassadors of a couple different European countries here in Guatemala and seems to keep a full schedule. We were extremely pleased with her care for us during our birthing experience with our firstborn son. She handled our 31-hour labor with a professional and caring approach that helped us have the birthing experience we always wanted. We’ll definitely go back to Hannah when we get the chance. 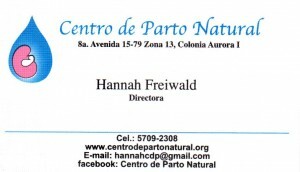 While we focus this blog entry on Hannah’s Centro De Parto Natural private clinic, Hannah also has a public clinic where she helps m any Guatemalan women with their births (at a lower rate than the private clinic). 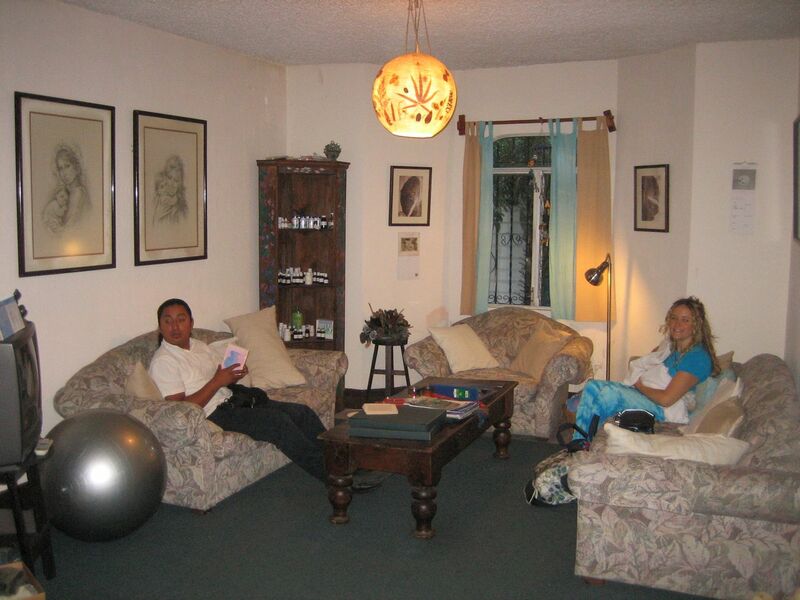 Located in a gated community in Zone 13 just down the road from the International Airport in Guatemala City, the birthing clinic has a very homey feeling. 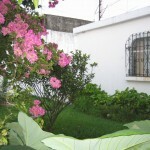 You enter the house through a colorful garden. The wooden door is usually open and leads into a living room set up with couches and a desk/office area. Our first meeting with Hannah was in this living room area. She was very easy to get to know and made us feel comfortable and at home. 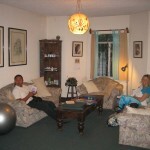 We liked how the whole place didn’t seem clinical but more of a home setting. 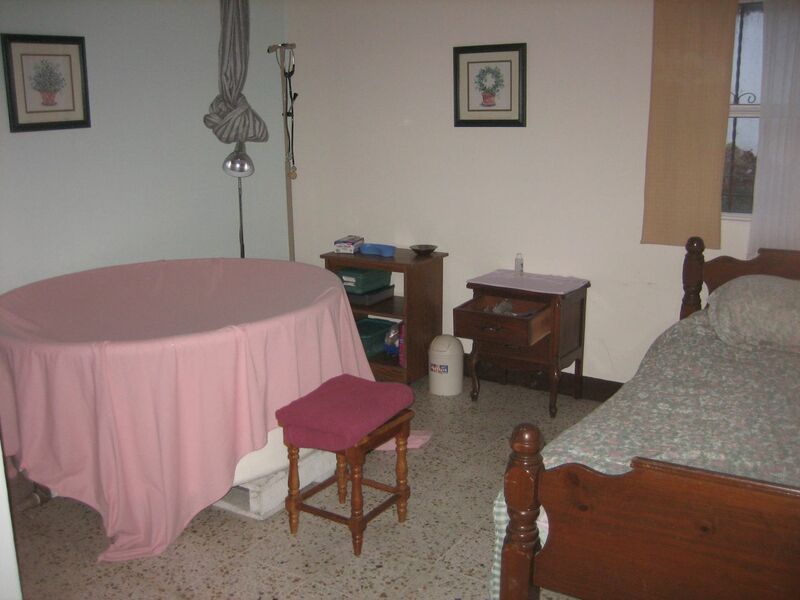 Besides the kitchen, living room and three bathrooms, there are two birthing rooms and a bedroom in the clinic. The birthing rooms each have a birthing pool as well as a bed decorated like you are at home. There are also other options available for moms who aren’t ready for the birthing pool or decide to have their babies out of the water. Hannah has a thick cloth loop hanging from the ceiling of each birthing room where mothers can lean or hold as they squat during contractions. She also has a birthing ball and birthing stool on hand. For my wife one of the big advantages of the clinic was the freedom she had to move about. She walked the halls and was not restricted to a bed or even to one room. Hannah was very accommodating. We even walked the streets of the gated neighborhood throughout the labor process. In the clinic you can have pretty much whoever you want with you. Most Guatemalan hospitals restrict who can be with you during delivery and husbands often are not allowed in the birthing room. Not so with Hannah’s clinic. 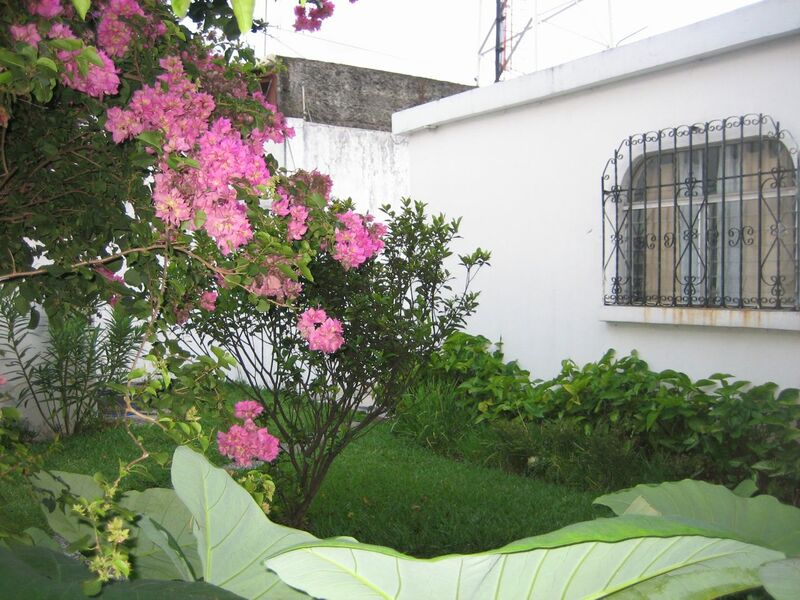 Just a side note, but Centro De Parto Natural is just a few houses down the block from several hostels that offer good rates if you don’t live in the city and need a place to stay while waiting for the baby or if you’re visiting for an appointment with Hannah. After the birth a double bed and bassinet are available for the couple to relax and get some rest with their baby at their side. We had a unique experience with our birth, because things did not go as quickly as we expected. My wife was in labor for 31 hours…18 hours at the clinic. Even though things slowed down for us, Hannah and her staff handled the whole birth wonderfully and gave my wife the natural birth experience she always wanted. We ended up with a healthy baby and healthy, happy mommy. You can read the full version of our birth experience here. 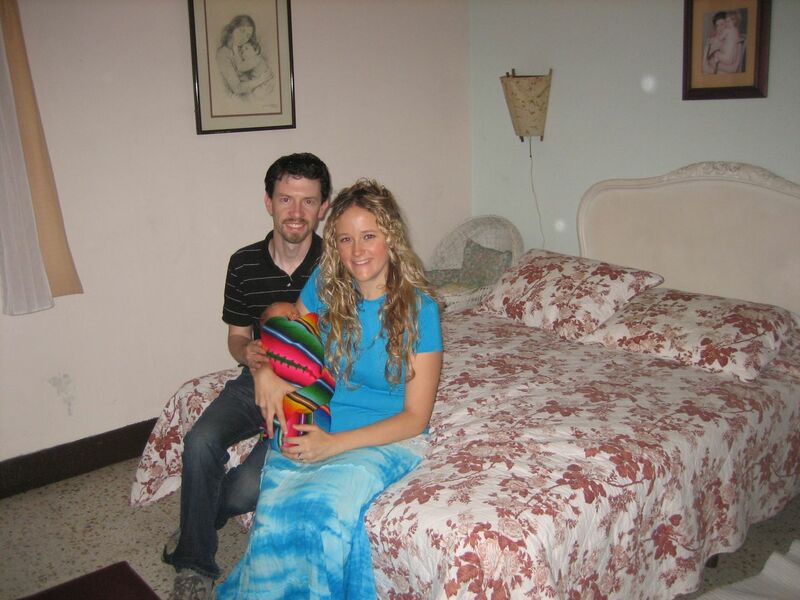 We paid 13,000 quetzales (a little over US$1700) for the birth package for our son. It was well worth every quetzal we paid. After the birth we had several followup meetings with Hannah. She was great with answering all our questions and providing us with the information we needed for our baby’s paperwork. 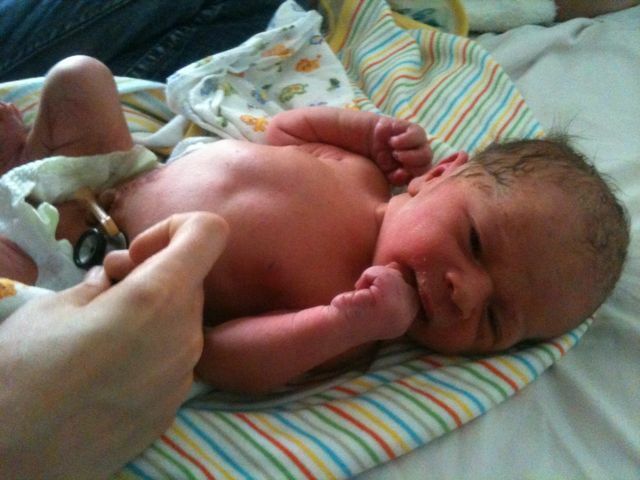 Click this link to read Hannah’s midwifery challenge blog about other women’s birthing experiences. She recommended Hannah to us and is already making plans to have her second birth with Hannah. She liked Hannah’s clinic location: only 7 minutes from the Roosevelt Hospital which reportedly has the best Neonatal Intensive Care Unit in the country. She also recommended Hannah because she works closely with an OB/GYN and can help connect you with this doctor if you were in need of an OB in a non-emergency situation (such as failure to progress). She also gave us this doctor’s name and number on our first visit for us to call with any questions we had about Hannah or whatever. 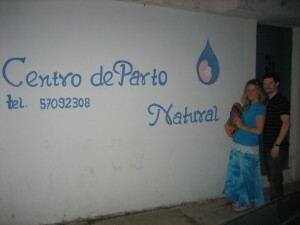 This entry was posted in Guatemala, Medical, Pregnancy, Resources, Travel and tagged baby, birth, birthing pool, Centro de Parto Natural, clinic, English-speaking, Guatemala, Hannah Friewald, international birth, midwife, natural birth, options, pregnancy, water birth by michaelshead. Bookmark the permalink. Thank you for sharing your story. We will be using Hannah for our second baby due in December. It’s nice to hear good things about her through your birth, even though we already liked what we know from our pre-birth care. Your blog post about the birth certificate process is also very helpful!